To celebrate Shakespeare’s birthday Masterclass at Theatre Royal have a special Shakespearean Masterclass led by Danny Sapani. 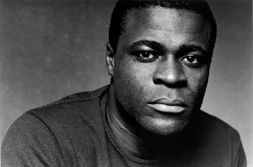 Danny Sapani is an experienced British film, television and theatre actor. He will be working with Masterclass members on a selection of Shakespeare’s speeches and scenes.